Emily Washington at the Market Urbanism blog has been doing a book club style review of Donald Shoup's book, The High Cost of Free Parking. It has been a useful process! 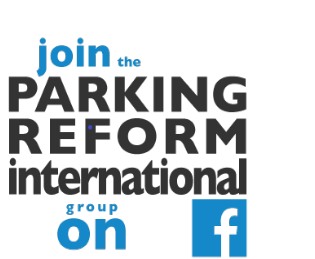 If you are new to Shoup's parking reform ideas, please take a look right now at the whole series, which can be found here: Chapters 1 – 4, Chapters 5 – 9, Chapters 10 – 14, Chapters 16 – 18, and Chapters 19 – 22. 3) Remove parking minimum requirements. She also shared some final thoughts, which I want to take up with this post. To reiterate, I highly recommend the entire book. I am in complete agreement with Shoup on his first and third recommendations for parking policy, and he clearly and persuasively makes the case for these two arguments. However, the more I think about it, the more I think that his recommendation of parking revenue benefit districts might not be the best solution, even though it would be much better than the status quo. Yes, this policy has successfully built support for performance pricing in some neighborhoods. However, I think that tax abatement districts would build even more support. Property taxes are particularly unpopular, and I think abatement would be sufficient to build support for parking prices that eliminate cruising. As Shoup says, charging higher meter rates is not about increasing cities’ revenue, but rather about eliminating curb parking shortages. By giving the increases in revenue back to the residents who are paying these higher rates, additional cities can build the political support necessary to charge appropriate prices for parking. Emily is taking up the spirit of Shoup's idea and running with it to look for another, better way to achieve the same goal. This resonates with my Adaptive Parking take on the same issue. Remember "Adaptive Parking"? It is my effort to extend and generalise on market-oriented parking reform thinking, like Shoup's. Adaptive Parking thrust number 3, calls for 'stakeholder compromise'. It points broadly towards the need to reduce resistance and gain support from relevant stakeholders. It doesn't specify exactly how. And Emily's suggestion is obviously one such option. I agree that in some political contexts property tax abatement might be the best way to sweeten the deal. In some cases, Shoup's parking benefit districts might be more attractive. And other situations might call for yet other creative compromises. The wider principle in common here is the need to acknowledge local stakeholder interests and to be willing to negotiate or compromise, in ways that do not undermine the core of the reforms.